What you pay for Camden Yards parking at Orioles games generally depends on where you’re coming from…spots north of the ballpark tend to command a higher price, being closer to the nightlife and more ritzy hotels. Don’t be confused by the alphabet soup. 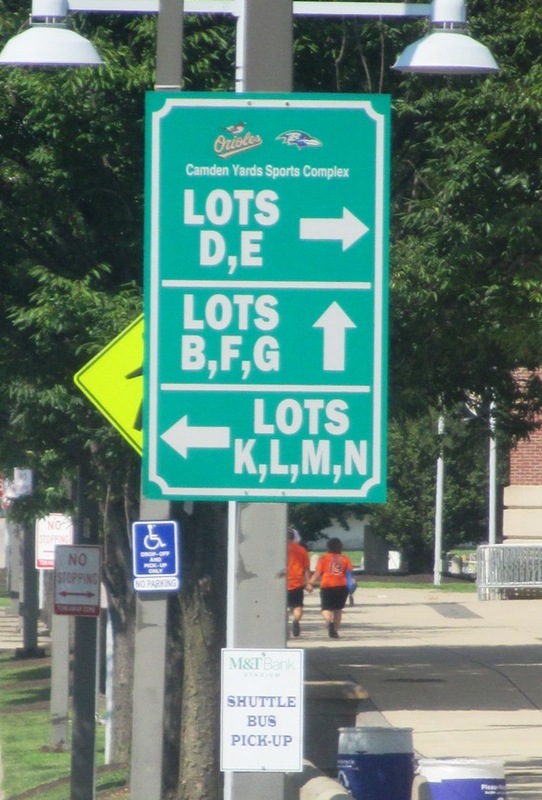 Use F, G, or H.
Cheap Parking at Camden Yards, Spot #1) Orioles Lots F, G, and H. You can actually book spots ahead of time in Orioles Lots B and C close to the ballpark fairly cheaply, if you do it well enough ahead of time on the Orioles website…do that if you can. But Lots F, G, and H near the Ravens’ stadium tend to be the cheapest choices, and they’re not too far away. You can even use the Light Rail one stop to the ballpark if you want to shorten the walk. 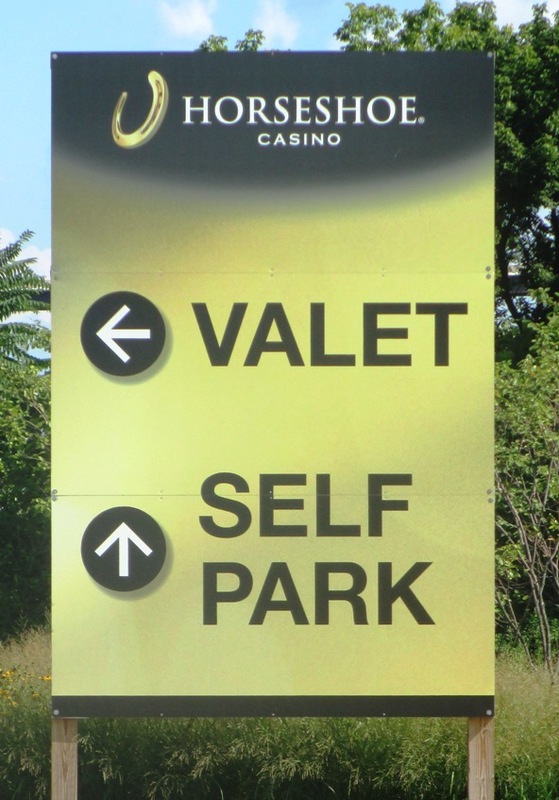 No, the valet parking isn’t any closer to the ballpark. Cheap Parking at Camden Yards, Spot #2) The Horseshoe Casino. The Horseshoe is about a mile walk from Camden Yards, and you probably wouldn’t want to walk it at night. The neighborhood isn’t all that bad, just industrial and desolate in the dark. Mexican food and Orioles baseball. Your day is complete. Cheap Parking at Camden Yards, Spot #3) Banditos Bar. 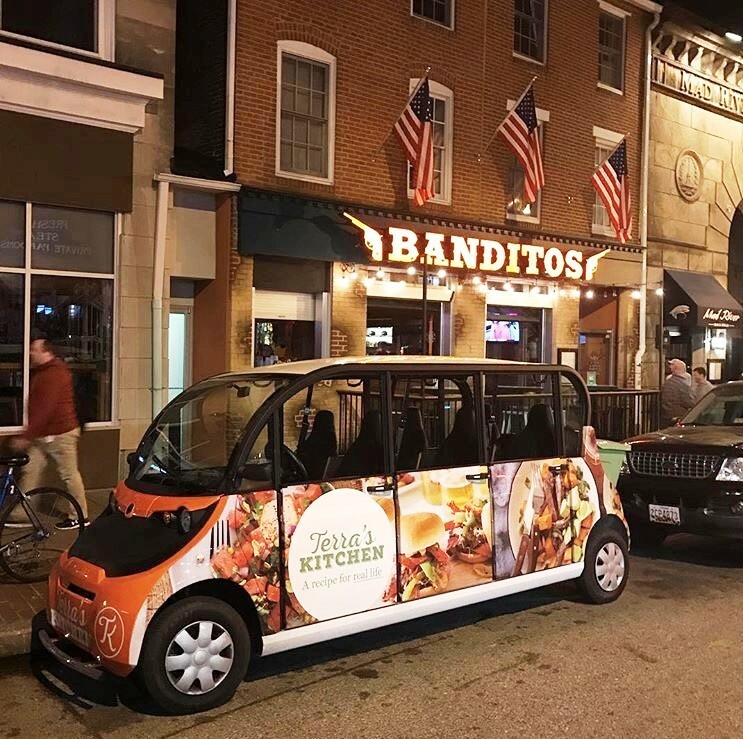 Banditos is a Federal Hill institution that recently started offering rides to patrons going to Orioles and Ravens games, and you can park on the street nearby free of charge, or in an inexpensive garage nearby. It’s actually about as long a walk as the Horseshoe if you don’t want to get a meal beforehand, but Banditos gets pretty good reviews, they have daily food and drink specials, and you get a free ride (although you probably should tip the driver). 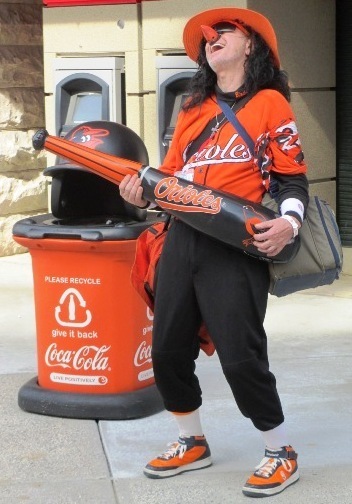 There’s three Camden Yards parking options that won’t break your bank at your next O’s game. Try one and let me know how it worked out. Photo of Bandito’s shuttle courtesy of Bandito’s Bar.